20 months! 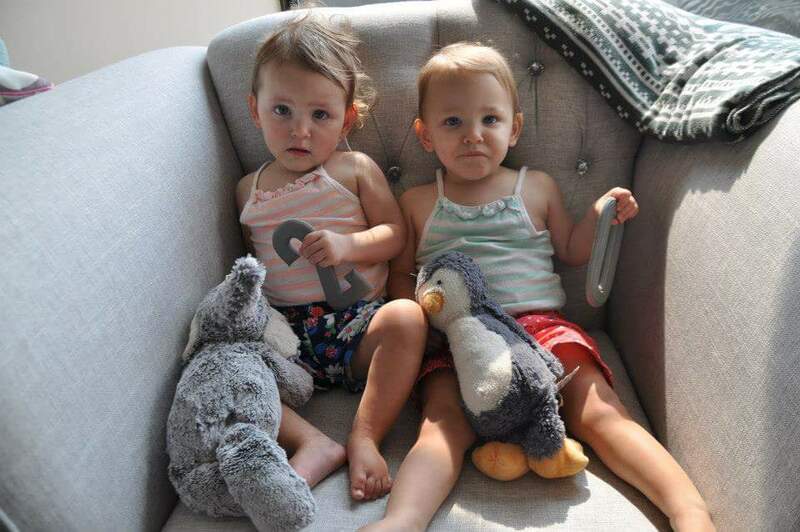 In just 4 short months, the girls will be turning two, and that I cannot believe. This month has been crazy; so much has changed in such a short time. The girls fully transitioned to daycare and are doing well. Ella napped at school two days last week while Raegan decided to stand up on her cot most of nap time, of course. 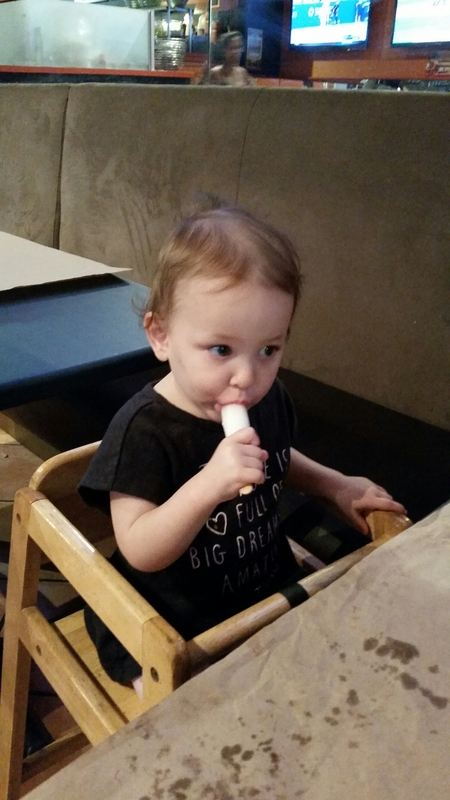 Ella trying a popsicle for the first time! The girls have so many words now; Mama, Daddy, Papa, no, bye bye, Ella, crackers, cookies, and Raegan also said mine for the first time today and says thank you occasionally. Raegan is always saying Ella and making sure Ella is nearby and doing OK. She always says bye bye to her when she goes to bed. 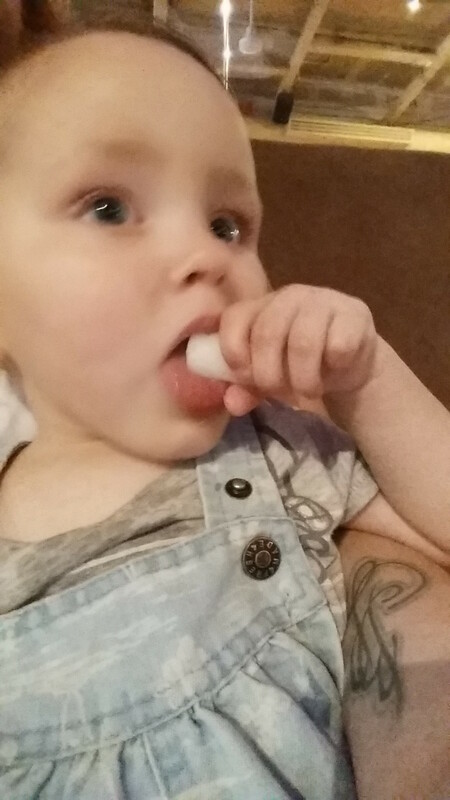 Raegan trying a popsicle for the first time! 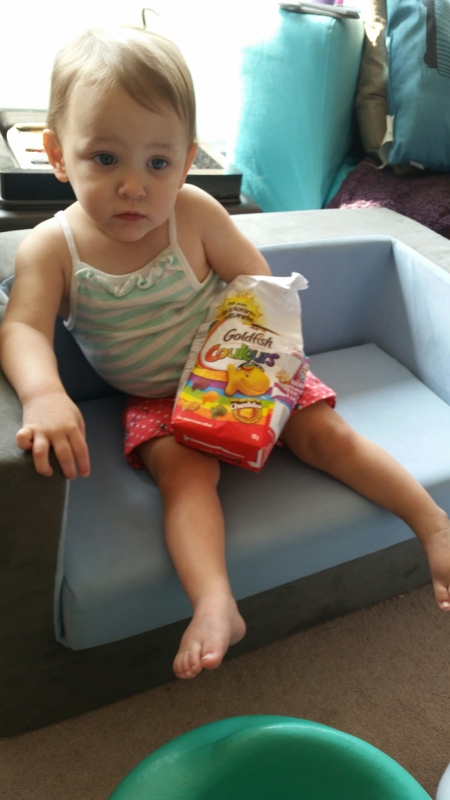 Raegan is also a full-blown toddler; her favourite word is no and she freaks when you do one of the following; tell her no, take the remote away from her, prevent her from injuring herself, say there’s no more food. Our new place has accessible stairs and she loves to climb up the stairs, but refuses help. A gate is needed stat. Ella is doing well, but now that September is here, she has so many appointments coming up, including her second MRI on Friday. 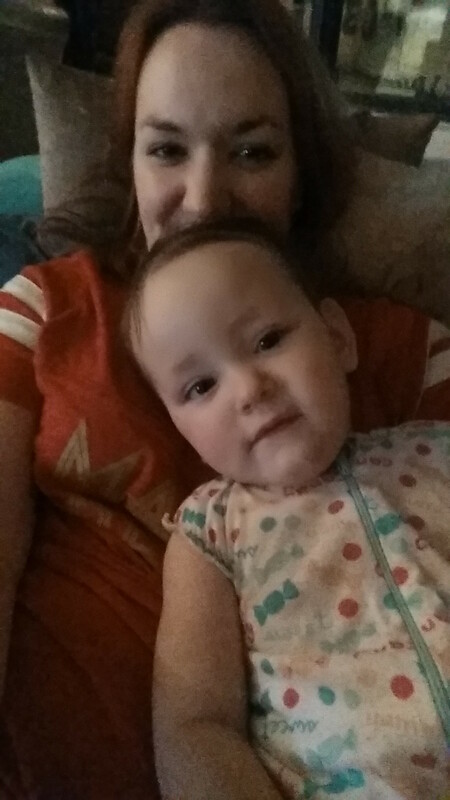 She remains a Mama’s girl, while Raegan is steadfastly a Daddy’s girl. Besides no, her favourite word is Daddy and she always asks after him. There’s been a lot of late night wake-ups; with working air conditioning, the girls were getting cold, so now they’re back in sleepsacks. Going to school has them exhausted, and the heat has made all three kids a bit crabby pants lately. 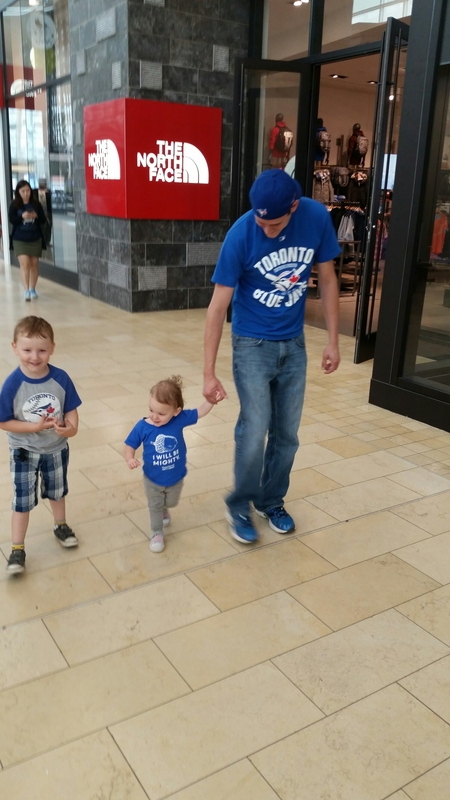 Braeden loves having his sisters at school, and he has one more year of preschool before starting junior kindergarten next year! Ella so excited to be having dinner at Panera! I officially have three toddlers who are growing and learning so much every day, and I love watching them grow into friends. This entry was posted in Baby update! and tagged cerebral palsy, development, hydrocephalus, identical, milestones, momo, mono mono, motherhood, NICU, parenthood, parenting, preemies, single parent, special needs, toddler, twins. Bookmark the permalink. I have enjoyed reading your blog. I can relate to your journey. We are parents of mono mono twin girls as well. While pregnant, we were told one of our girls had an IVH and not getting enough nutrients due to cord entanglement. They were born 12 weeks early and spent 86 days in the NICU. They are miracles no doubt and have been home for 2 months now. 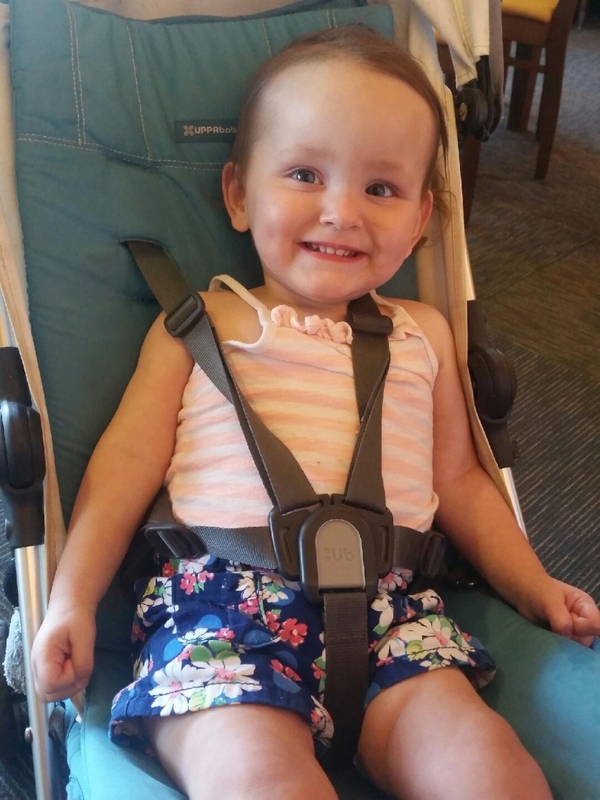 Rylee, the one with the supposed IVH, has had more challenges and we have an MRI scheduled on October 29th. Overall, they have been doing so well. We are praying for complete healing and the results will be normal. How are your girls doing now? Thank you for sharing your journey. Raegan is doing really well. Though small, she’s fiesty. Ella is doing really well, getting stronger every day! Thanks for joining us on our adventures! I love the poem on your blog! Beautiful!